This is for my grandson who will be 9 in January. He is a big Star Wars fan. I backed it with minky. 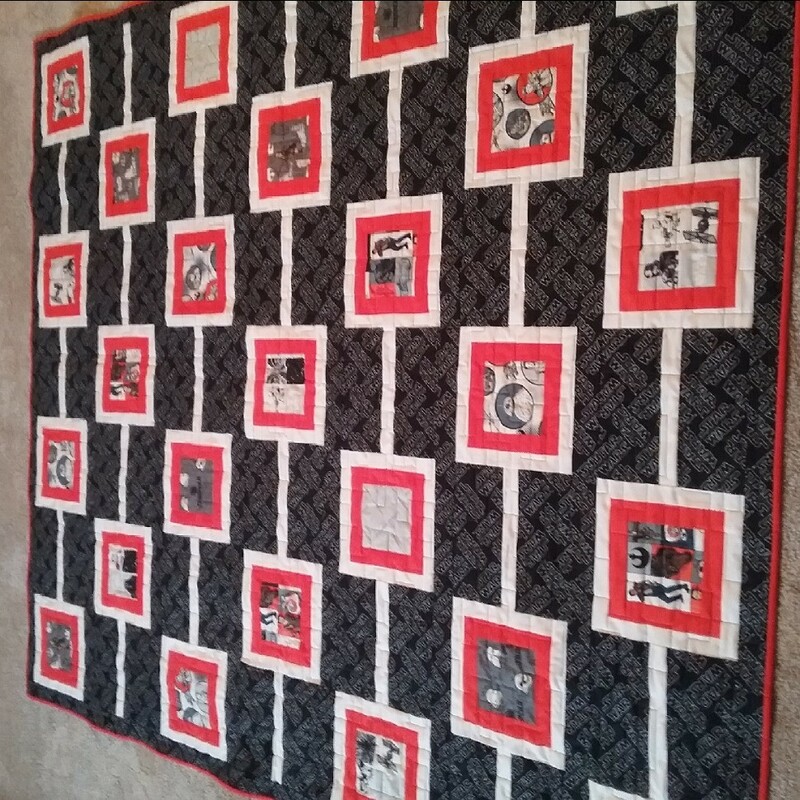 Normally I do my own quilting (just straight lines) but wanted something special for this. So I had it quilted and love the design. Plus I wasn't crazy about working with the minky :) I hope he likes it.